O’Connor recently completed filming on the troubled western Jane Got a Gun and has several projects in early stages of development. Muschietti had been working on Universal’s reboot of The Mummy until he left over the usual creative differences because his vision of the film was far different than the family-friendly adventure the studio had in mind. 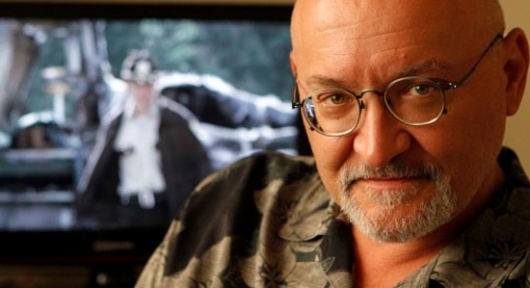 I can’t see Darabont signing on to make a sequel to a film he had no involvement with since he usually devotes his creative energy to stories close to his heart. But as I mentioned before, the man hasn’t stepped behind the camera on a film set in seven years, but he has directed several episodes of Mob City as well as “Days Gone Bye,” the acclaimed pilot episode of The Walking Dead. So the man isn’t rusty. O’Connor could jump at the chance to make Snow White and the Huntsman 2 if his schedule allows, should he want to curry favor with Universal when the subject of financing a smaller, more personal project comes up in the future. Most likely the gig will go to Muschietti if Universal has a contract with him that won’t be fulfilled any time soon by his exit from The Mummy. Even though it would be fascinating to see what Darabont would do with the material, the whole endeavor might be more geared to Muschietti’s sensibilities. Original stars Kristen Stewart and Chris Hemsworth are both slated to reprise their roles for the sequel as soon as Hemsworth completes his fourth go-around as Thor in The Avengers: Age of Ultron for Marvel Studios. Universal wants the Snow White sequel for a 2016 release date. We’ll see how that goes.